Fortunately Think Tank had exactly the right solution. Their new Think Tank Retrospective Leather 30 is both large enough for what I need to carry and features nice, new leather accents and a leather cover that I thought would make it a little more fun, and perhaps even a little more rugged for the rough use my bags often get. After three weeks of planes, trains, buses, automobiles, boats, hikes, and crouching through narrow temple stairways the bag passed with flying colors. It barely feels any heavier than my Think Tank Retrospective 7 (at least until I loaded it up), but is much roomier. The bag’s design combines well-thought out compartments typical of Think Tank designs, with a massive “catch-all” front pocket that was always there when I needed to cram “just one more thing” in the bag. End pockets for small items (I used these for my travel mouse, smartphone + FLIR ONE, etc.) 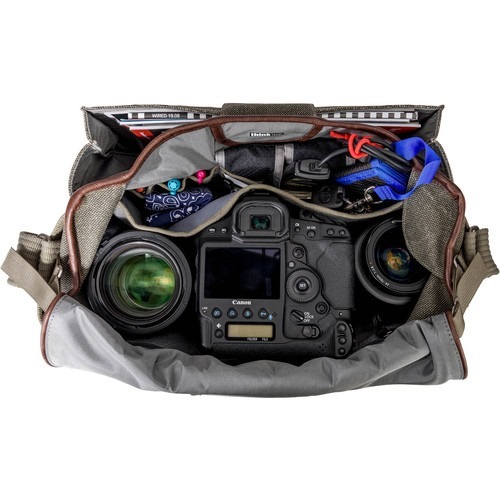 The ends also feature a loop you can use to attach an additional lens case if you need yet more gear or want to carry a large water bottle there. Rear zippered pocket that easily fits a Surface Pro or iPad or small laptop. It was even wide enough to allow me to slip my Dell XPS 15 into it, but not tall enough to close over it. Rear “security” internal pocket. A great addition for storing plane tickets, cash, or other “not to be lost” valuables. “Silencer” flap velcro – This is a really important feature to me. In public places where I’m nervous about my “stuff” I keep them in full velcro mode. But when I’m shooting in quiet locations – like temples and monasteries on this trip – I can set them to allow me to open and close the flap completely silently. Small “end flaps” on the main camera compartment so lookie-loos can’t peer into your bag and see what you’re carrying. Excellent padding on the shoulder strap – this really matters when doing a lot of walking with a bag. 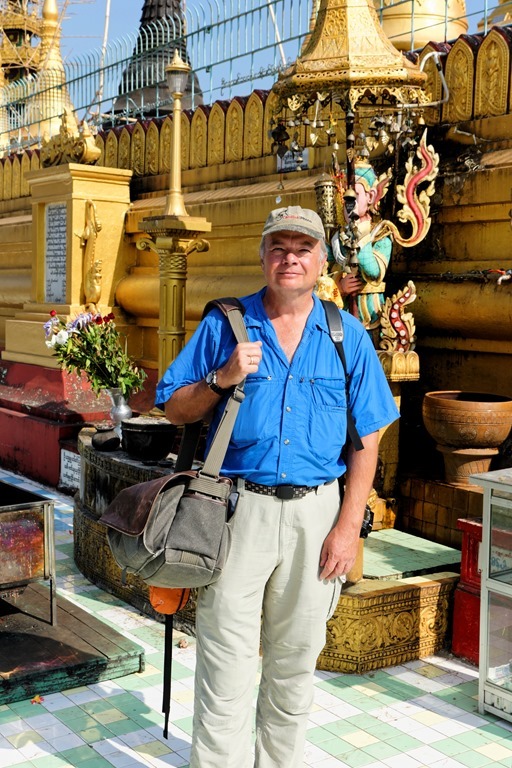 while photographing a temple in Southern Myanmar. Photo by my co-lead Edwin Reinke. 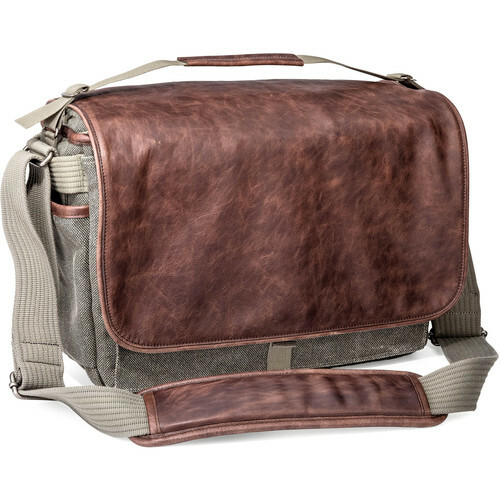 As you can tell, the Think Tank Retrospective Leather 30 (pre-order for $259 at B&H) is my favorite new shoulder bag for when I need to carry a lot of gear. Despite getting banged around for several weeks it is in perfect shape (aside from some wear marks on the leather from when it got dragged along some rough brick walls – that help give it that “pro” look anyway!). If I’m not carrying a huge amount of equipment, like at the upcoming CES show where I’ll be field-testing the new Canon G5 X point and shoot, then the Think Tank Retrospective 7 is my preferred bag. You can also now get a leather-trimmed version of the smaller 7 series bag – the Think Tank Retrospective 7 Leather (available for $229 from B&H). The Retrospective is fairly inconspicuous when you need to set it down in public locations. 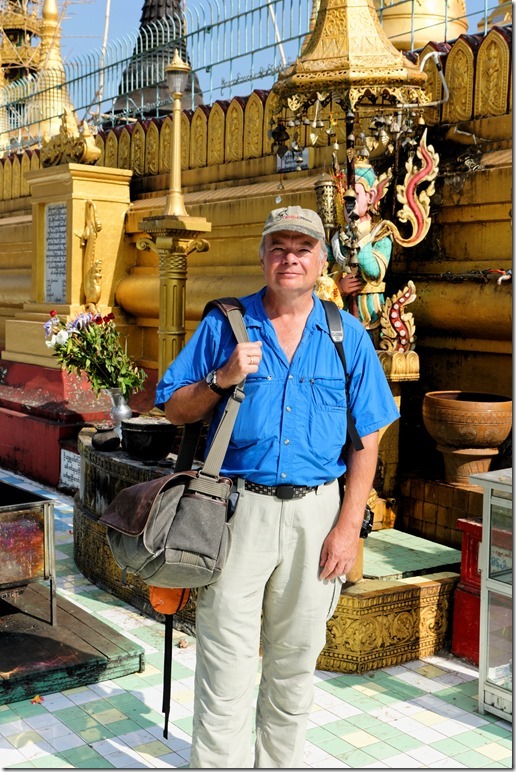 day in Moulmein in the Mon State of Myanmar – only miles from the Andaman Sea.